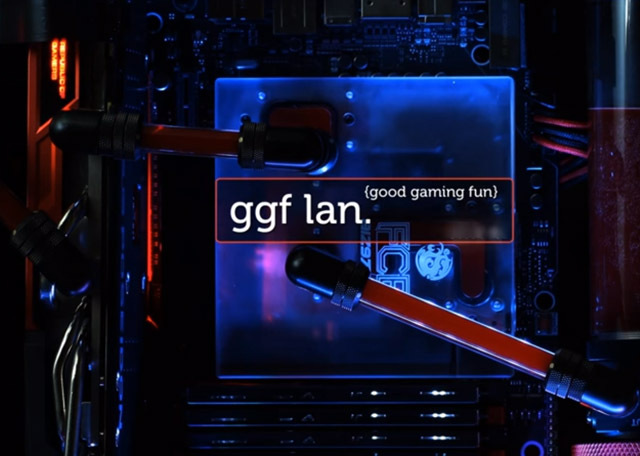 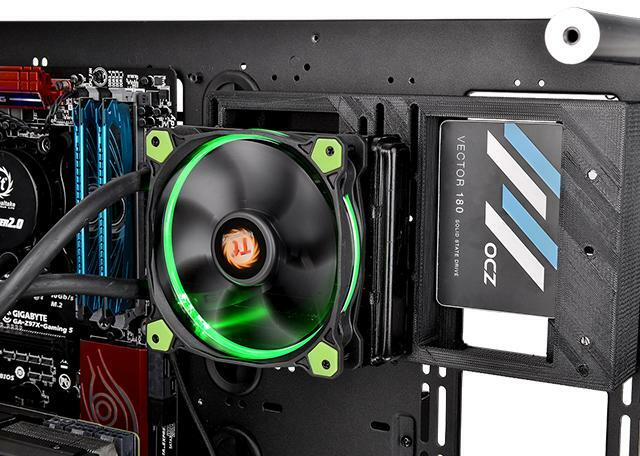 The All-In-One bracket is designed to offer 120mm or 140mm fan base cooling solution or AIO liquid cooling solution with extra 3.5"/2.5" storage device installation onto the Core P5. 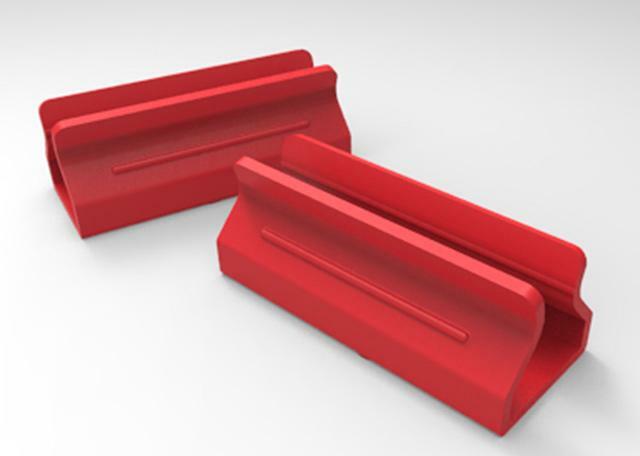 A base plate to insert into the base of the primary or the secondary 5.25" bay cage, in order to cover up the sliding connector. 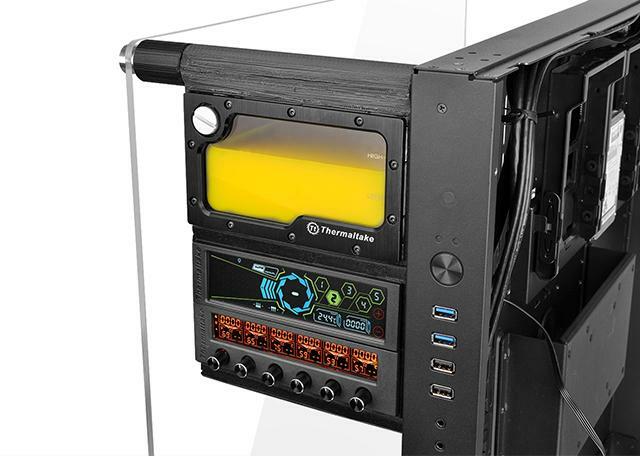 This little holder is designed to hold LED strips around and against the acrylic panel of Core P5, to provide an Illuminated effect on the Core P5. 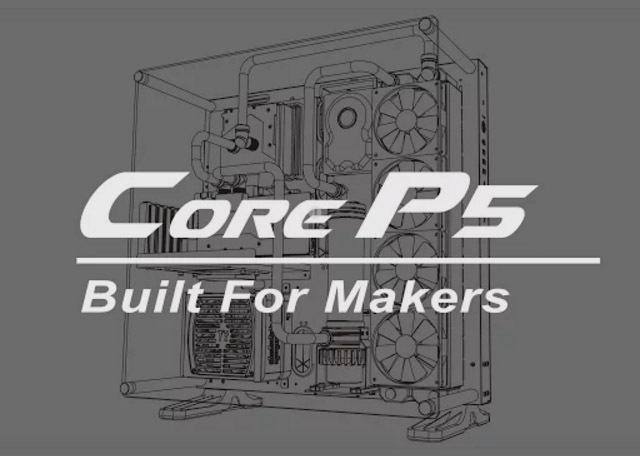 A dual 5.25" bay cage is designed to offer installtion for dual 5.25" bay accessories onto the Core P5. 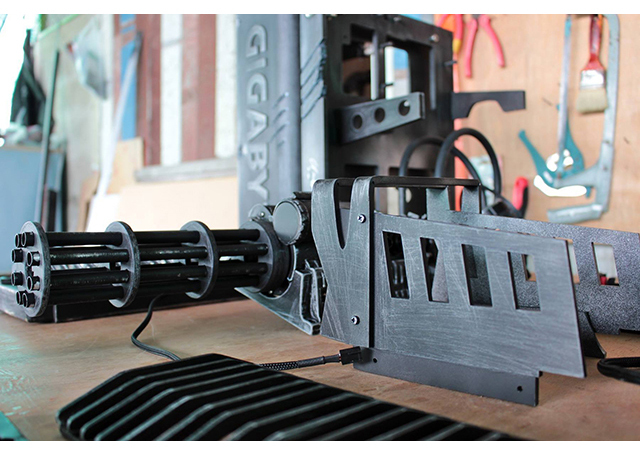 Note: This is the secondary part, where you can joint together with the primary part. 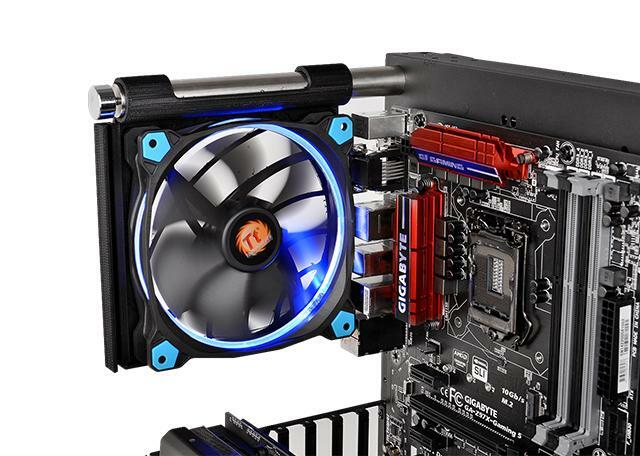 A fan bracket is designed hook onto the metal pillar of Core P5 and to be compatible with 120mm and 140mm fan installtion. 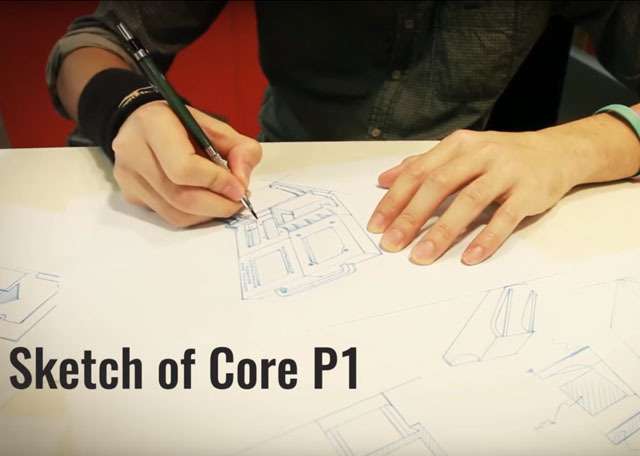 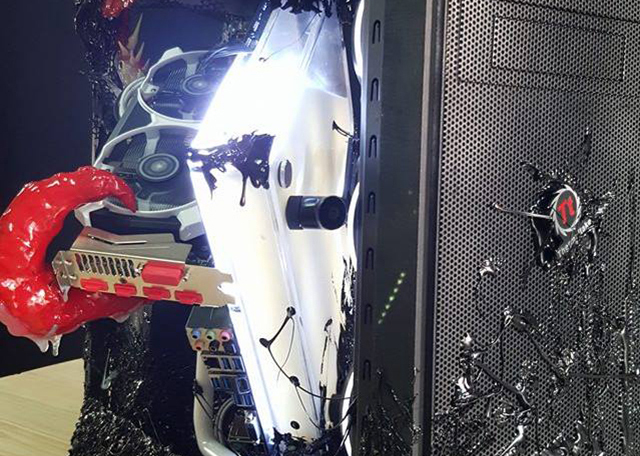 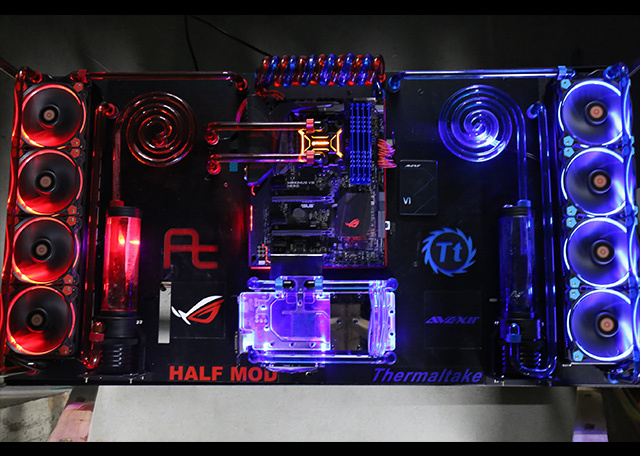 From 2015 Thermaltake China CaseMOD Invitational S2. 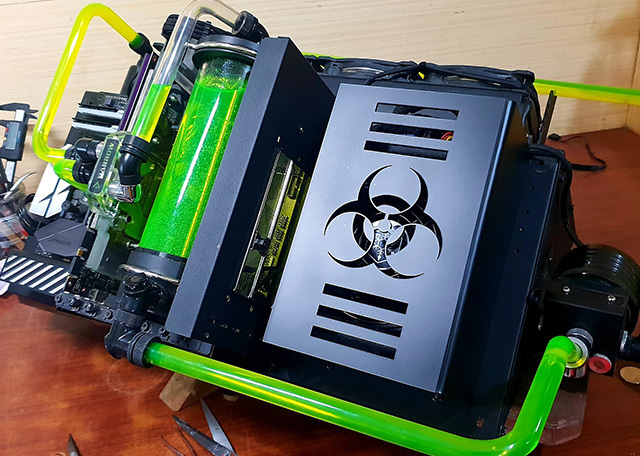 Double P5 Desk was constructed with two Core P5’s and home furniture parts My aim was to create the perfect PC office desk by incorporating the concept of practical and living to save space and at the same time build a visually pleasing working table PC. 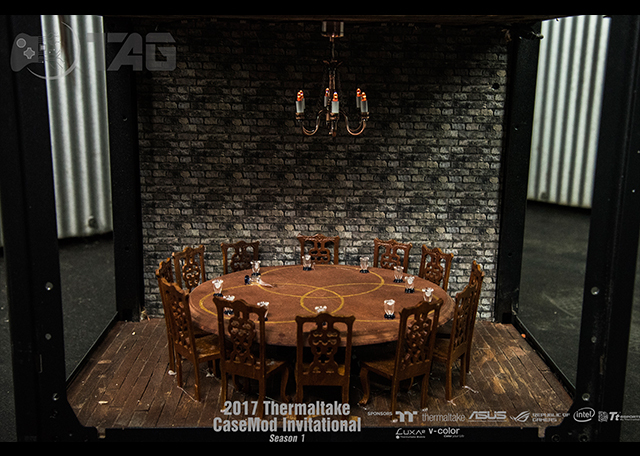 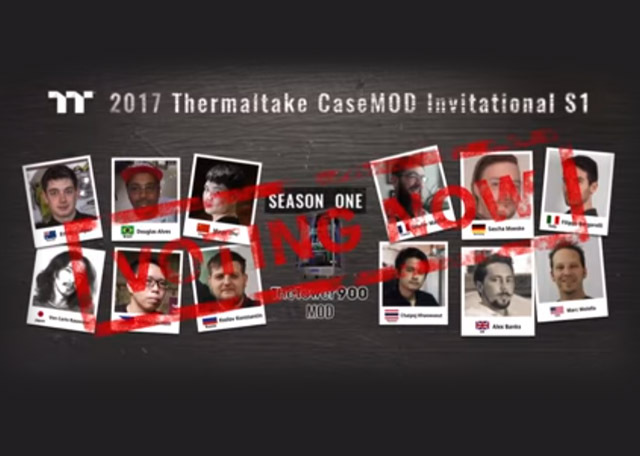 2017 Thermaltake CaseMOD Invitational Season 1 Voting Event Starts! 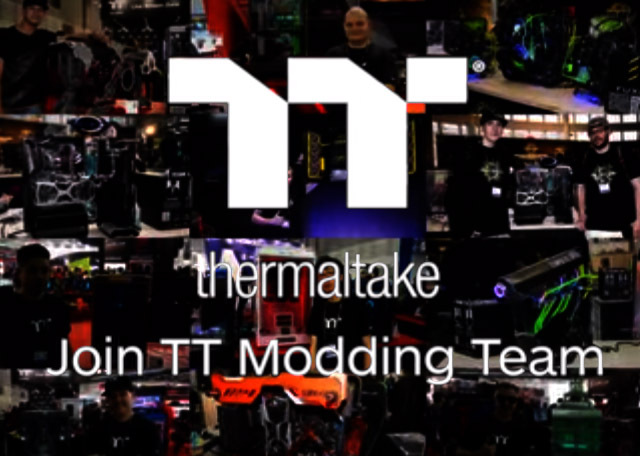 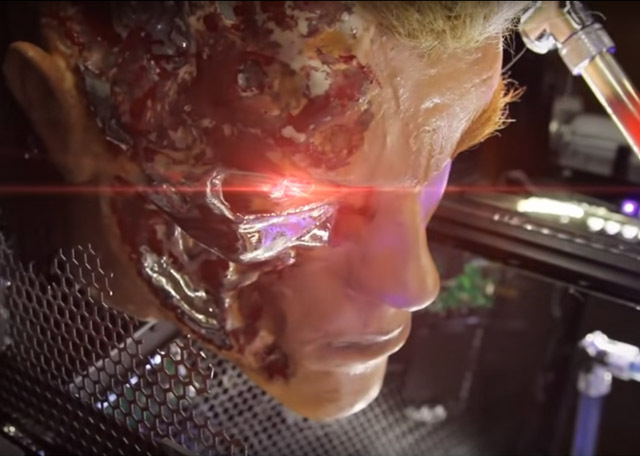 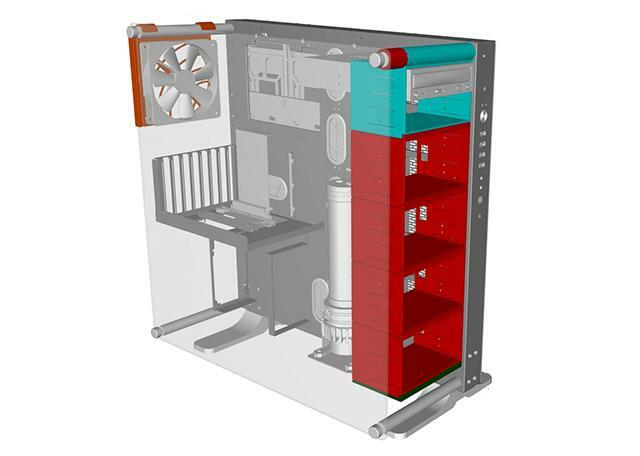 Thermaltake 3D Makers Platform-Rise to the challenge of 3D Printing!